You really don’t have to be a great chef to make this simple, yet delicious showstopper. 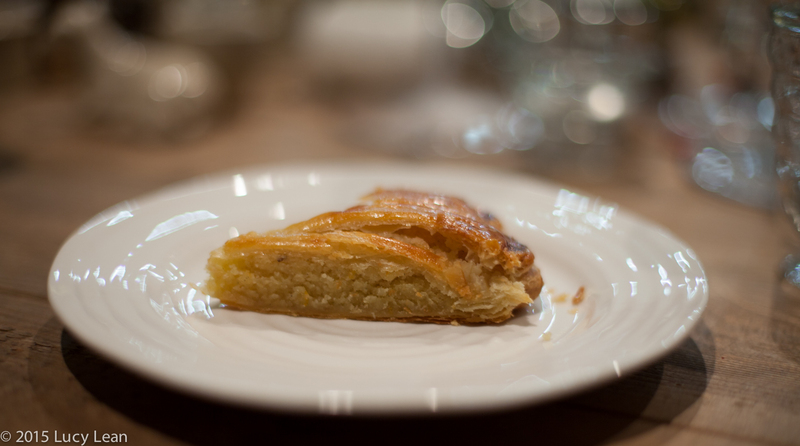 I ‘cheated’ and bought the puff pastry – I carefully selected frozen puff pastry that only included butter in the ingredients listed to achieve that ‘homemade’ flavor. I used almond flour rather than sliced almonds in a food processor. Instead of making up the crème patissiere (pastry cream) for the 2 tablespoons the original recipe calls for I skipped making the pastry cream and simply added 2 yolks to the almond filling with a teaspoon of cornstarch. Whatever you do don’t forget to hide an almond or toy trinket in the cake – the winner is the ‘king’ who finds it in their slice – if you use a metal toy be very careful as you bite into your piece. Some people add the baby Jesus, a little plastic naked baby, after the cake is baked, inserting it from underneath – this is what the children said was in their cake that was enjoyed in class at school today. Oh the wonders of a French education! 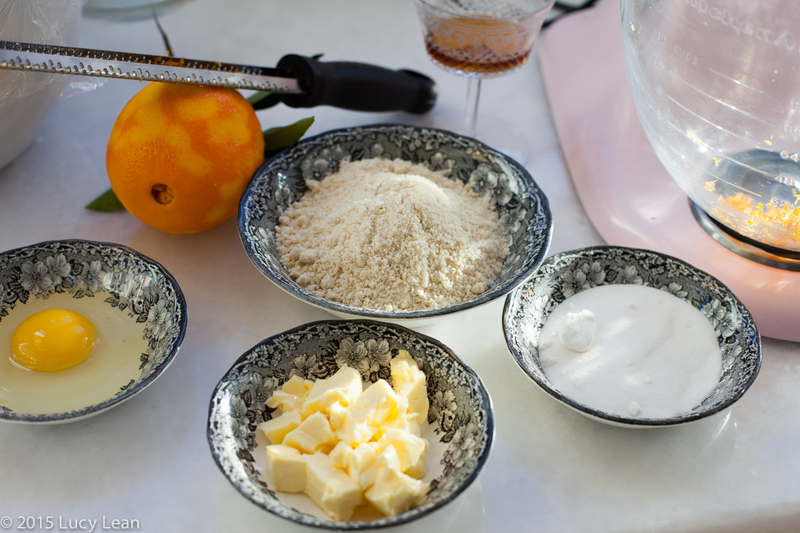 In the bowl of a stand mixer, combine the almond flour, sugar, salt, and orange zest. 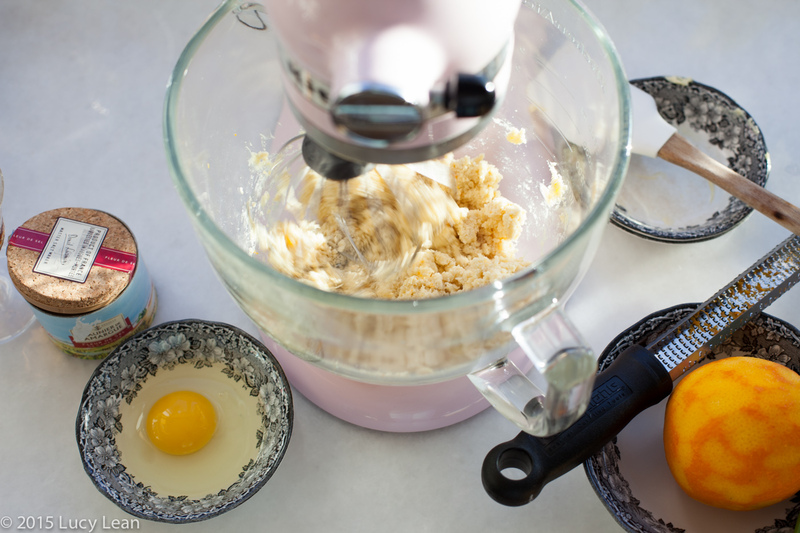 Add the butter and mix to form a thick batter. Stir in the egg, the rum and almond extract if using. 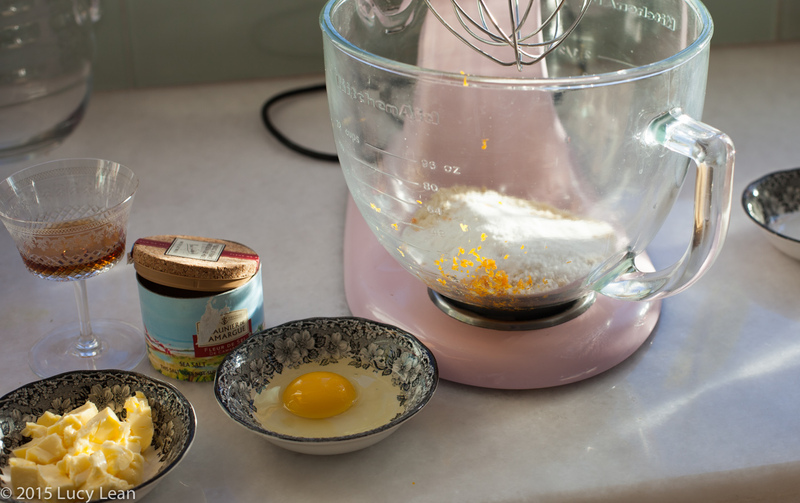 Mix the two egg yolks with the cornstarch and add to the filling. Place almond filling in a bowl, cover and refrigerate for 30 minutes. 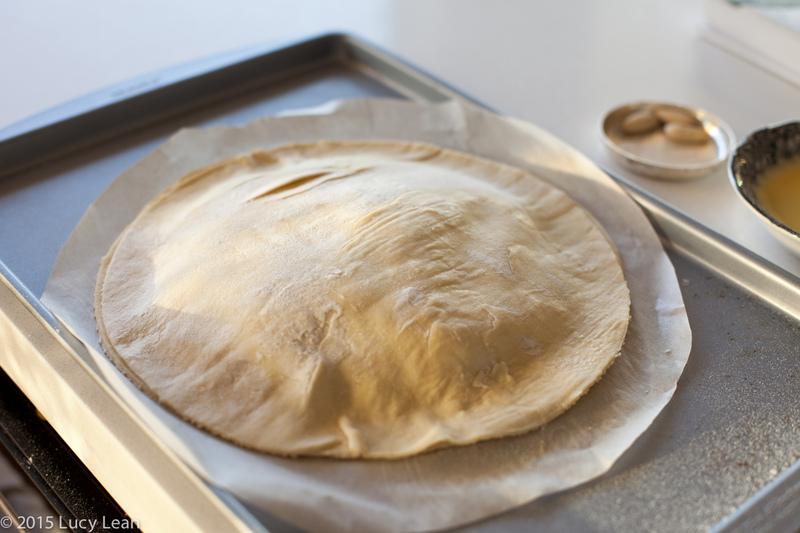 On lightly floured surface, roll one piece of puff pastry into a circle about 9 1/2-inches round. 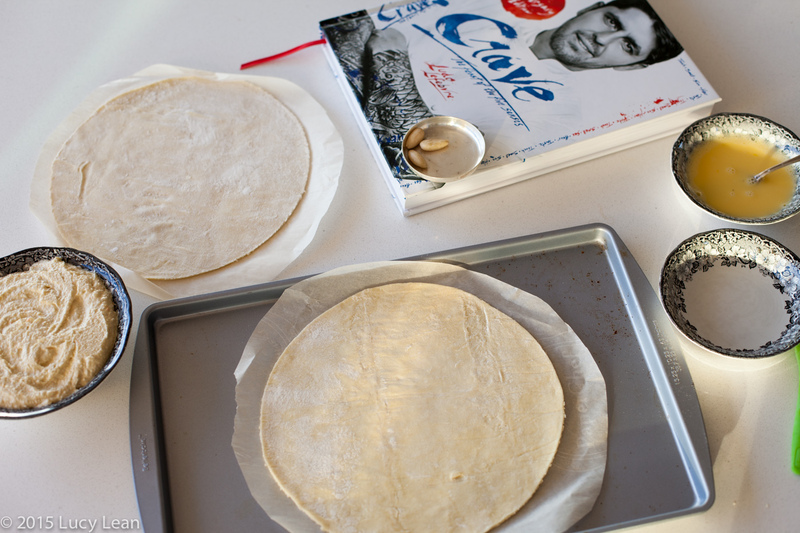 Using a cake pan as a template, trim the dough into a neat circle using a sharp knife. Place the dough on the baking sheet. 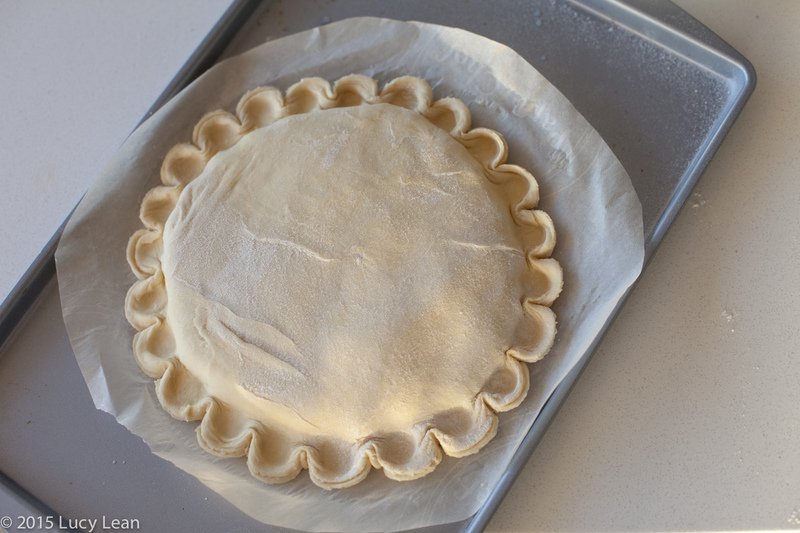 Cover it with a sheet of parchment paper then roll out the other piece of dough into a circle, trim it, and lay it on top. Chill the dough circles for thirty minutes. Remove the dough circles and almond filling from the refrigerator. 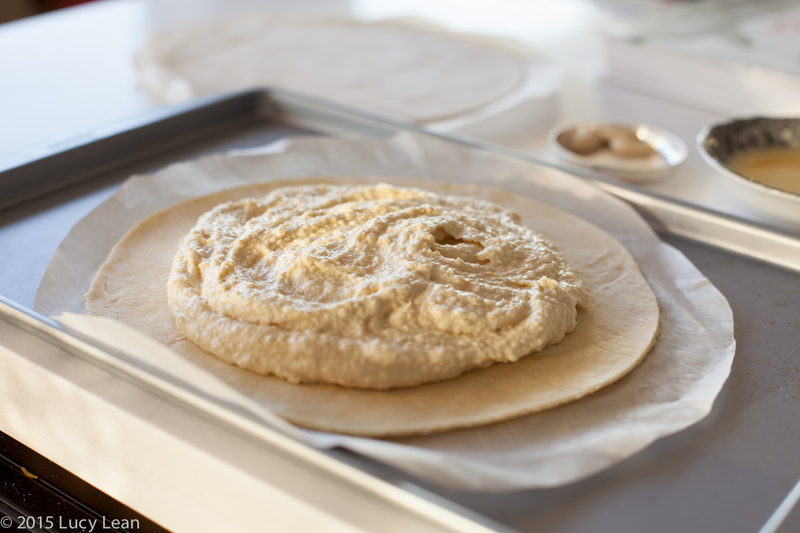 Place one circle of dough on a parchment lined baking sheet. 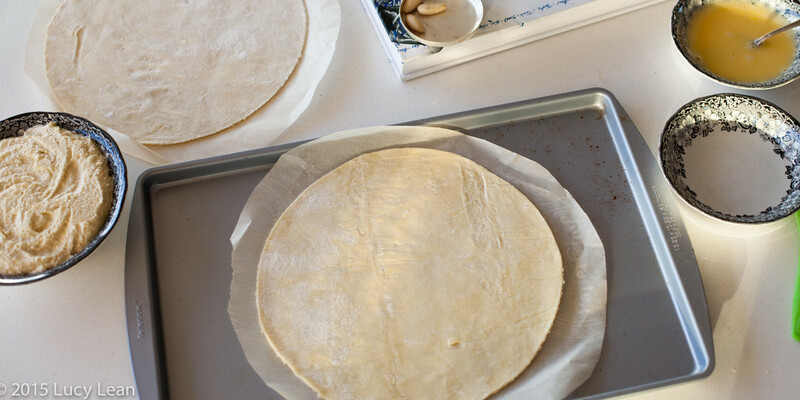 Spread the almond filling over the center of the dough, leaving a 1 1/2-inch exposed border. Place the almond somewhere in the almond filling. 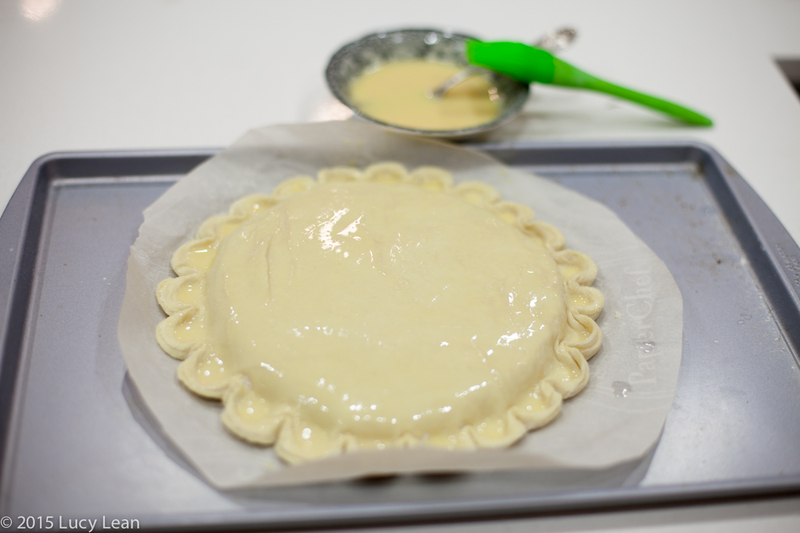 To bake the galette, preheat the oven to 375ºF. Flute the sides of the dough using two finger tips as a guide and pulling in the side of the pastry with the back of a knife between the fingers. 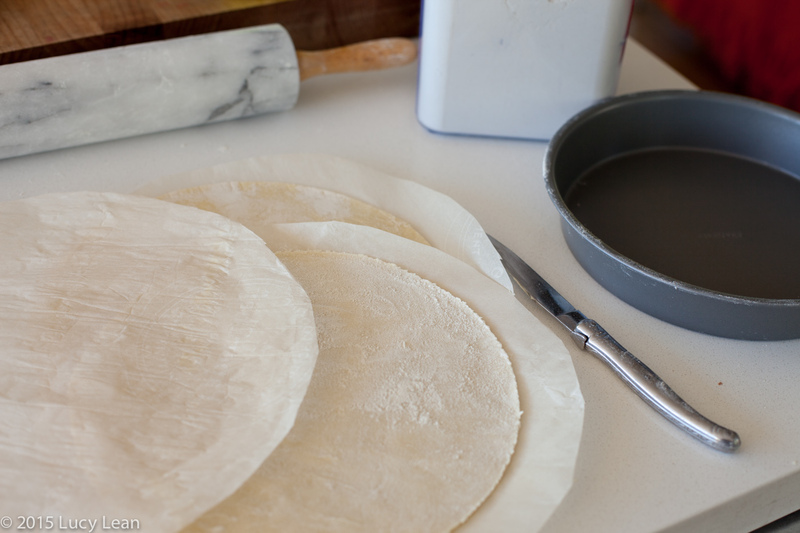 Work around the outside of the galette making ‘petals’ and pressing the two layers together. 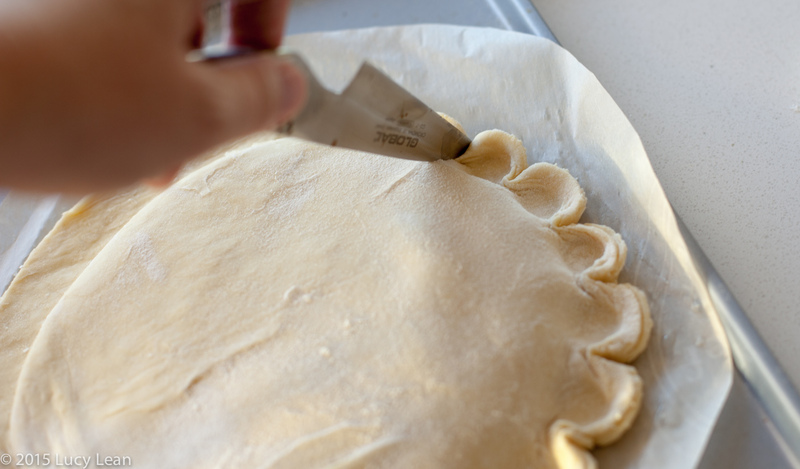 Use the tip of a small sharp knife to score the surface of the pastry with a design. 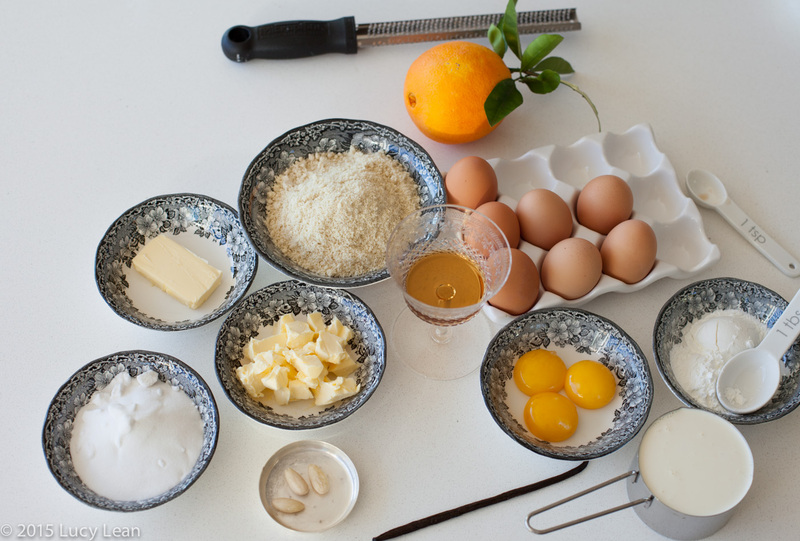 Stir together the egg yolk with the milk and brush it evenly over the top. 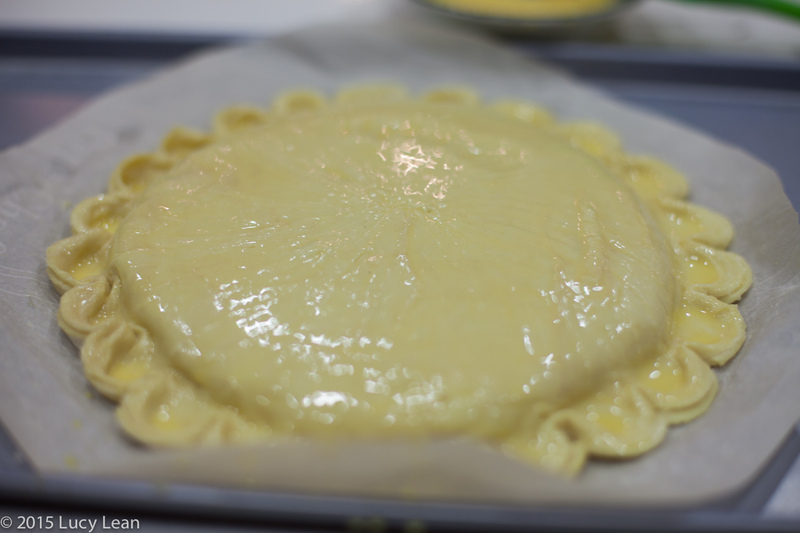 Avoid getting the egg wash on the sides, as this will stop the pastry from rising at the edges. Bake for 30 minutes, or until the galette is golden brown all over. 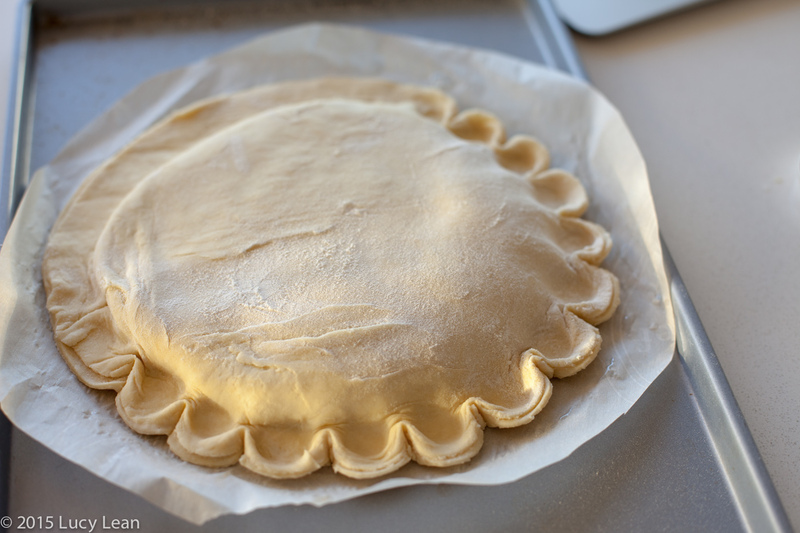 (During baking, if the galette puffs up too dramatically in the oven, you can release some steam by poking the top with the tip of the knife.) Whilst the galette is in the oven make the sugar syrup to glaze. 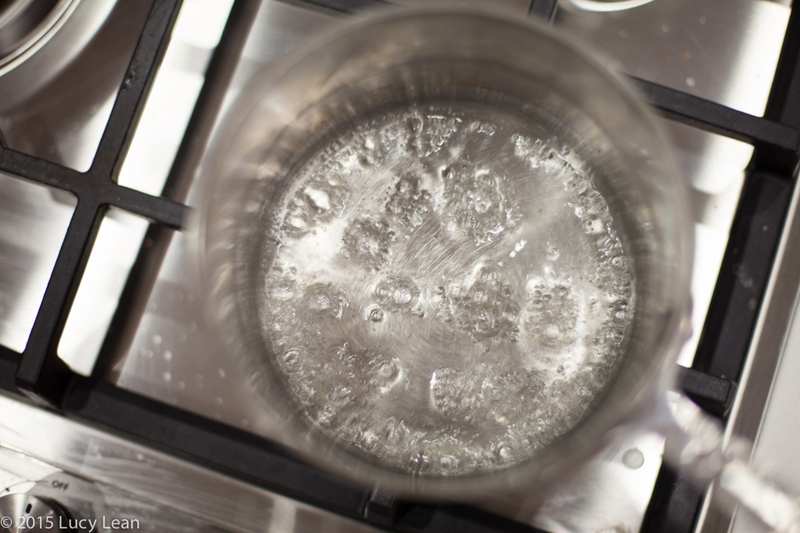 Place 2 tablespoons of water and sugar in a small saucepan over medium-high heat until the sugar dissolves and the mixture thickens to a syrup, about 2 minutes. 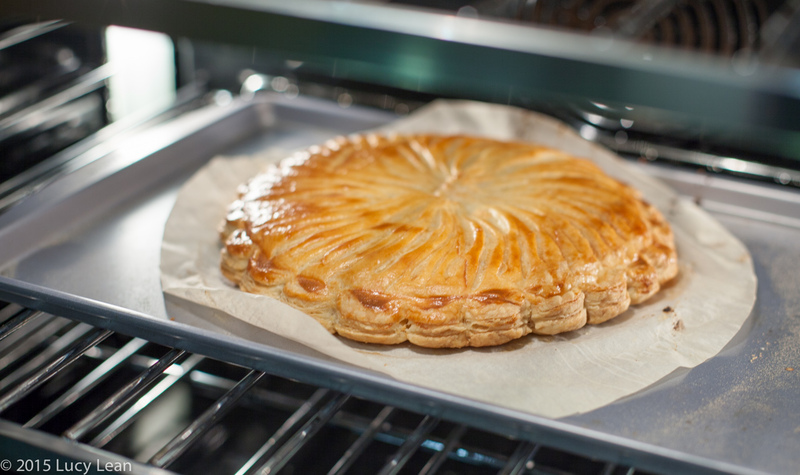 Remove from the oven and slide the galette off the baking sheet and onto a cooling rack. 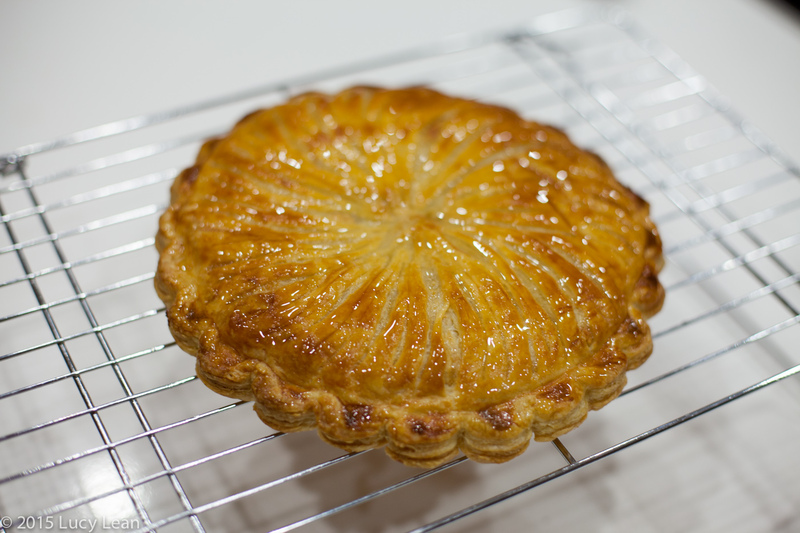 Brush the warm sugar syrup over the cooling galette to make the pastry shiny and crispy. Serve warm or at room temperature. The person who finds the almond in their slice is the king for the day – give them a crown to wear and bow before them!